Here we are, mid-winter, months of cold ahead of us, yet a funny and predictable thing happened this week. Daylight is slowly creeping back each day and it’s towing behind it the chorus of spring. Bird song has returned, indicating that spring is honestly just around the corner. And no song is currently featured more prominently than that of the chickadee. 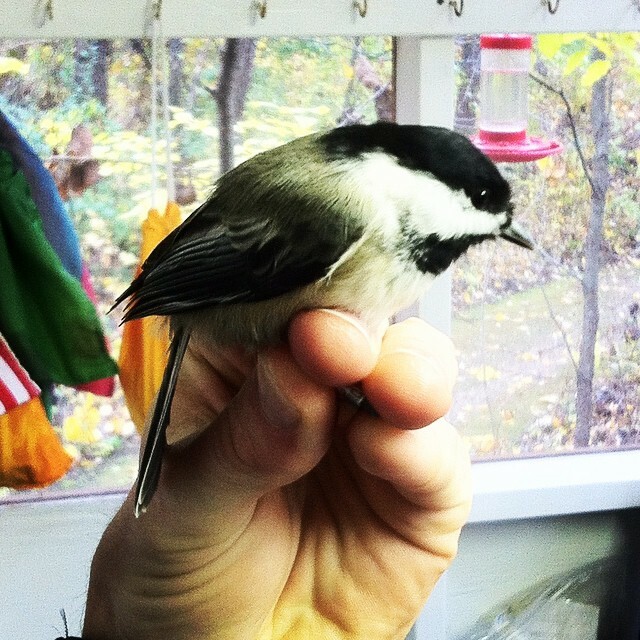 So today’s post is dedicated to the spritely little chickadee. Might as well learn a little about chickadees. The best song out there referencing chickadees. The fields are bleak …The very earth is like a house shut up for the winter, and I go knocking about it in vain. But just then I heard a chickadee on a hemlock, and was inexpressibly cheered …All that is evergreen in me revived at once. The Chick-a-dee likes to see the snow and stays to hear the north wind blow. Grandpa Job tells me this whenever I mention this bird. Makes me smile.